We are now onto #12 of these posts and so looking forward to seeing all your wonderful posts. Thank you for those who join in weekly and if you could share on Twitter to get the word out, would be so greatly appreciated :) Rules are below.. I am Gemma, 21 newly single mummy to cheeky monkey Corey who was born prematurely in December 2010. 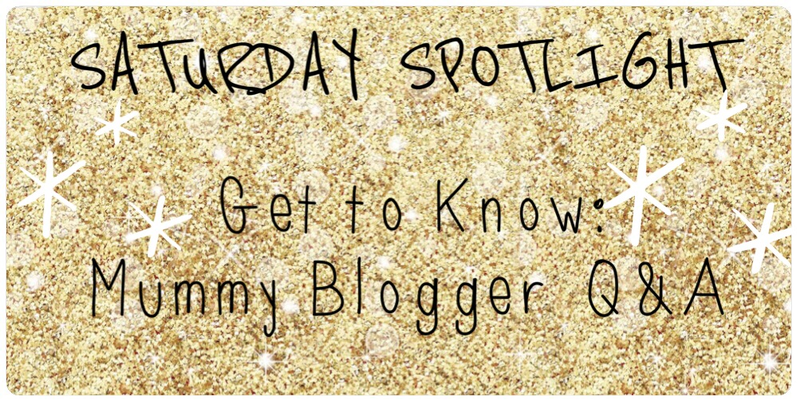 Currently a stay at home mummy, blogging my way through our life whilst deciding on what career path to take! I blog about all things parenting, pregnancy, family, lifestyle, beauty and random ramblings. Started just over a year ago in September 2013. I was actually on sick leave from my then teaching job whilst recovering from surgery. I wanted a new creative out let to help me through a tough time and sharing my feelings to be myself. Never thought anyone would actually read it though! Erm mainly my son Corey is my most inspiration, days out, shopping, all my interests as well as friends/ fellow bloggers! Being able to write as I am not the greatest writer and at times it upsets me because I work myself up over it. Always finding the bad etc but I am learning to live with it and have already noticed progress in my writing skills since I first started. I follow a whole lot of variety of blogs and frankly I am drawn to those with personal posts because I really feel like I can connect and get to know that fellow blogger and friend. So sorry that last week was missed, you may be aware of the situation by now! But anyways a fresh start and got my blogging mojo back :) If you are new or old bloggers to this linky, please please read and make sure to follow the rules which are below. If you could share this on Twitter too to spread the word would be so greatly appreciated! So I would like to apologise that I have missed a week etc for Mummy Monday, I have been taking a blogging break due to personal reasons and life just got in the way. But all normal blogging status has returned and the next few weeks posts are now scheduled. We are now onto #11 of these posts and so looking forward to seeing all your wonderful posts. Thank you for those who join in weekly and if you could share on Twitter to get the word out, would be so greatly appreciated :) Rules are below..
Mummy Monday is now onto its 10th week :) I feel like we should celebrate, sneak glass of wine or cup of tea anyone?! Look forward to reading your posts and make sure you follow the rules below please! I had to give birth to my beautiful son Hugo 16 weeks early because of severe HELLP syndrome and severe pre-eclampsia. This rare pregnancy complication nearly claimed my life, and took the life of my precious baby, Hugo. While nothing more could have been done to help Hugo, who fought for life for 35 days, HELLP is so serious I am raising awareness of it in his memory. * ‘LP’ is for low platelet count – platelets are cells in the blood that help it to clot. HELLP syndrome and preeclampsia can and does kill mothers and babies. The only way to treat both conditions is to deliver the baby as soon as possible, no matter what stage of pregnancy the mum-to-be is at. The symptoms of HELLP syndrome are outlined below. I started developing symptoms at 23 weeks. I had what I thought was heartburn (it was actually my liver starting to fail), I was putting on weight (it was actually excess fluid caused by my failing kidneys) and just felt generally rotten. I’d put it all down to normal pregnancy symptoms. The only symptom I couldn’t really explain away was the breathlessness. I was sufficiently concerned about it to look it up on Google – preeclampsia was one suggestion. I dismissed it because I didn’t have the ‘classic’ symptoms of a headache and flashing lights – and besides, I was so early in my pregnancy. I thought it only happened in later pregnancy. How wrong I was. I never actually developed a headache or visual disturbances. As I’ve described with my own experience, many of the symptoms in the list above are easy to confuse with common pregnancy discomforts. I would like to balance raising awareness with not frightening pregnant women, or giving them more to worry about as for most women, they will be genuine pregnancy aches. My midwife was vigilant, picked up on my high blood pressure and protein in my urine, and combined with the other symptoms I’d complained of sent me straight to hospital. Pre-eclampsia affects about 5% of pregnancies, and severe cases afflict about 2%. A smaller percentage will develop HELLP, and the number of women who will develop pre-eclampsia and HELLP at 24 weeks as I did, is even more remote. There are some women who are considered to be a higher risk, such as those who are aged over 35, previous high blood pressure, first pregnancy, preeclampsia in a previous pregnancy, being overweight and having certain pre-existing conditions, such as lupus. I had three of these risks – I am aged over 35, it was my first pregnancy, and I am overweight. My blood pressure before – and for 22 weeks of my pregnancy – was on the low side of normal. HELLP syndrome struck very suddenly. For all these risk groups however, preeclampsia and HELLP syndrome do not discriminate. No one really knows why certain women get it, and it’s perfectly possible to fall victim without being in one of these risk groups. There is no way to screen for or prevent preeclampsia and HELLP syndrome. The best thing to do is be aware of the signs and symptoms and seek help from your midwife or doctor if you are worried – and make sure you attend all your antenatal appointments. Mummy Monday is now onto its 9th week :) My absolute sincere apologies that is is a day late getting put up, life got in the way but don't let it stop you from joining up now! Look forward to reading your posts and make sure you follow the rules below please!